There are a number of theories about why fiebre del heno seems to be affecting more people, including environmental changes and modern lifestyle. Y con soaring pollen counts it’s easy to see why we care so much. This years’ increased temporada de la fiebre del heno has meant misery for many who suffer from incessant sneezing, nariz que moquea, watery and streaming eyes, itchy eyes and itchy face and throat. It’s also difficult to say why some adults suddenly start to suffer later in life, or why some people’s sĂ­ntomas suddenly stop or get much better as they get older. 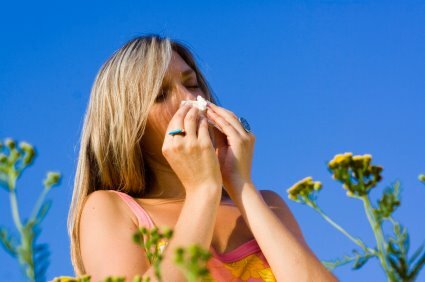 What is known is that hayfever while pregnant may be a lot less severe, due to the high levels of the steroid cortisone in the body of a pregnant woman – good news for you if you’re worried you may suffer from hay fever while pregnant. Whatever the weather, a smear of Haymana ™ around your nose and eyes could well help. Why not give it a try? Buy from our tienda online and have a look at how well it’s worked for others.